A senior astronomer has said that the hunt for alien life should take into account alien “sentient machines”. 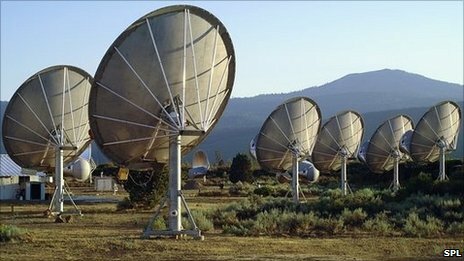 Seti, the Search for Extraterrestrial Intelligence, has until now sought radio signals from worlds like Earth. 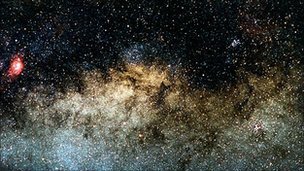 But Seti astronomer Seth Shostak argues that the time between aliens developing radio technology and artificial intelligence (AI) would be short. Writing in Acta Astronautica, he says that the odds favour detecting such alien AI rather than “biological” life. Many involved in Seti have long argued that nature may have solved the problem of life using different designs or chemicals, suggesting extraterrestrials would not only not look like us, but that they would not at a biological level even work like us. However, Seti searchers have mostly still worked under the assumption – as a starting point for a search of the entire cosmos – that ETs would be “alive” in the sense that we know. That has led to a hunt for life that is bound to follow at least some rules of biochemistry, live for a finite period of time, procreate, and above all be subject to the processes of evolution. But Dr Shostak makes the point that while evolution can take a large amount of time to develop beings capable of communicating beyond their own planet, technology would already be advancing fast enough to eclipse the species that wrought it. “If you look at the timescales for the development of technology, at some point you invent radio and then you go on the air and then we have a chance of finding you,” he told BBC News. “But within a few hundred years of inventing radio – at least if we’re any example – you invent thinking machines; we’re probably going to do that in this century. John Elliott, a Seti research veteran based at Leeds Metropolitan University, UK, says that Dr Shostak is putting on a firmer footing a feeling that is not uncommon in the Seti community. “You have to start somewhere, and there’s nothing wrong with that,” Dr Elliott told BBC News. “But having now looked for signals for 50 years, Seti is going through a process of realising the way our technology is advancing is probably a good indicator of how other civilisations – if they’re out there – would’ve progressed. Both Dr Shostak and Dr Elliott concede that finding and decoding any eventual message from such alien thinking machines may prove more difficult than in the “biological” case, but the idea does provide new directions to look. Dr Shostak says that artificially intelligent alien life would be likely to migrate to places where both matter and energy – the only things he says would be of interest to the machines – would be in plentiful supply. That means the Seti hunt may need to focus its attentions near hot, young stars or even near the centres of galaxies. Previous Haraamzada – W A Chohan detained? Next Guess What: Mideast Peace Talks WILL Fail!